. Priceless, only Kevin can do headlines like that. 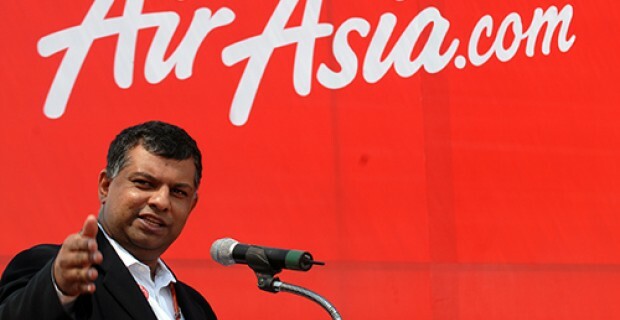 Malaysia-based AirAsia, owned by Malaysian businessman Tony Fernandes, has dominated cheap travel in the region for years. But suddenly – did Fernandes know his company stock was about to take a hit? Starting on 22nd December, he sold a total of 944,800 shares in Tune Insurance Holdings Bhd, the organization that provides travel insurance for AirAsia passengers. Some 850,000 shares were sold on December 22 and an additional 94,800 shares the day after. The plane vanished on 28th. The story may remind us of the unusual market activity in airline stock that preceded the 9/11 terror attacks. An “extraordinary” amount of ‘put options’ – speculation that a stock price will fall – were placed on United and American Airlines in the days leading up to 9/11. Landed on the ocean floor? ‘We currently suspect that the plane is on the bottom of the ocean floor.’ Sonar imaging has established the presence of an object 100-165 feet (30-50 metres) under water, in the shallow waters of the Java sea, believed to be the plane. Bodies have been found, but no black boxes have as yet been recovered. The jet was flying at the regular cruising altitude for most jetliners – 32,000 feet – when the signal was lost, according to flight tracking website Flightradar24. No distress reports came from the plane, officials said. It vanished in the quiet Christmas period, on Sunday morning of 28th of December. “Do not become another victim of MH370,” warned the [Chinese] individual in a December 15 post, adding that AirAsia was about to be targeted by “powerful” forces which he referred to as the “black hand”. “This is a life-saving message to Europe or the US tour, do not take AirAsia (or) Malaysia Airlines airliner,” states the translated version of one of the posts. The user went on to assert that the “black hand” was out to “ruin AirAsia,” Malaysia’s second largest airline company. Malaysian Airlines Flight 370 went missing in March earlier this year, while MH17 was shot down over Ukraine in July. Threee Malysian airlines mysteriously vanish or crash within a year. The AirAsia flight was on an Airbus 320-200 and that has so-called fly-by-wire, meaning that it had an electronic flight control system able to override the manual controls of the pilot. The Airbus 320 was the first aircraft to be equipped with such a system. * both had well over a hundred people onboard. At this early stage, there is talk about dummy bodies being used, found floating on the sea – see video here. Maybe listen to Morris 108. – and we naturally compare this with the MH 17 shootdown where there were a lot of reports of fake bodies.